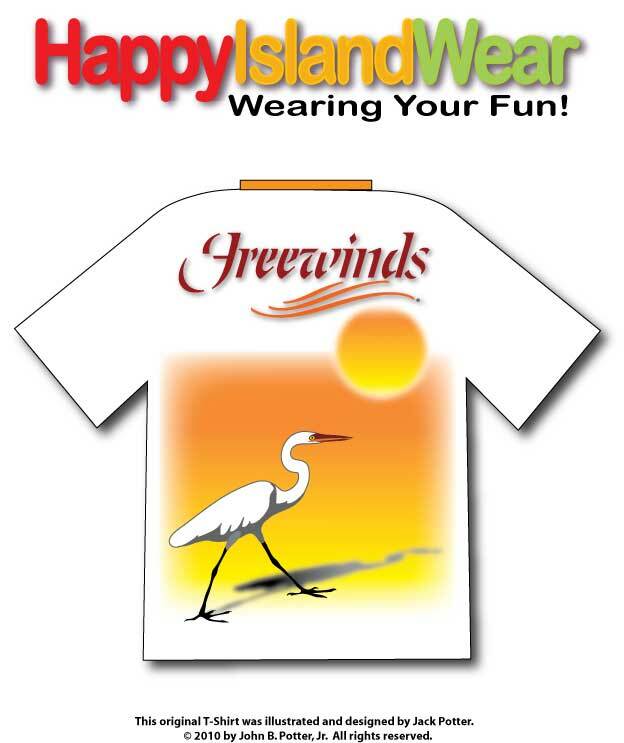 Happy Island Wear, Retail & Guest Shirts! 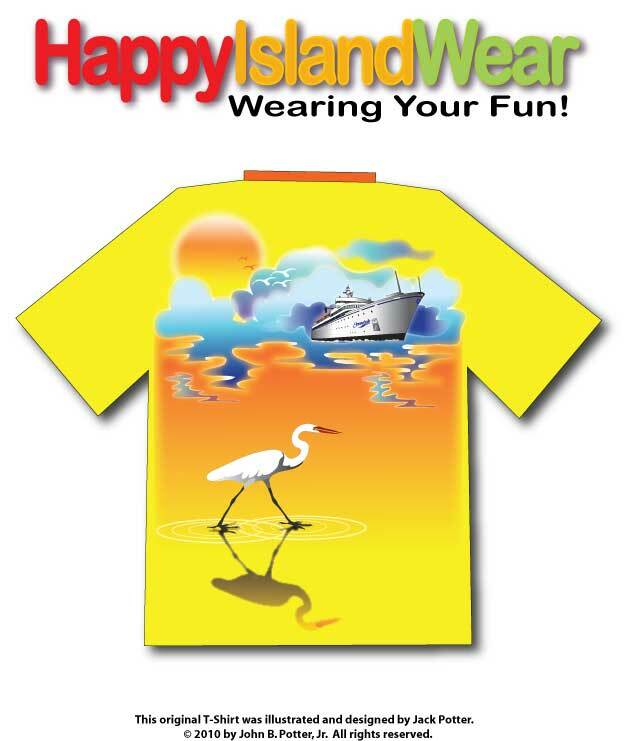 The Happy Work Wear & Happy Island Wear Brands were created in 2005 to fulfill client demand for more creative marketing solutions in the retail advertising environment. We wanted to help our clients with a very new approach to branding their message to their guests. Pictured below are the first two of the quarterly specials for Red Robin Restaurants chain. 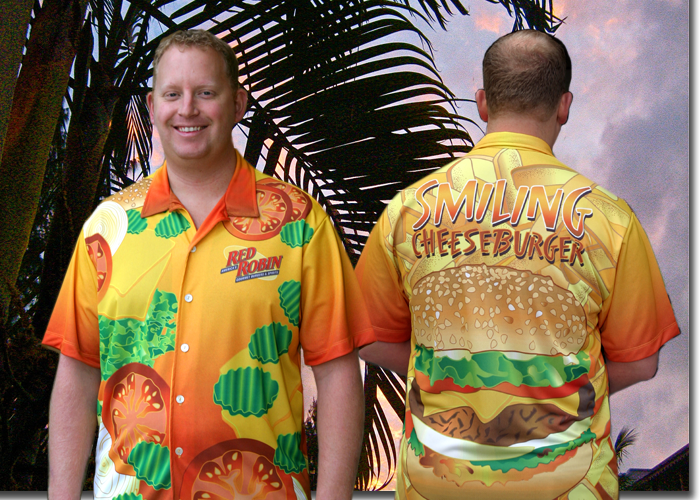 The first of these special shirts is called the “Smiling Cheeseburger” with the burger’s ingredients on the front and the result, a smiling burger, on the back. Let’s Eat! 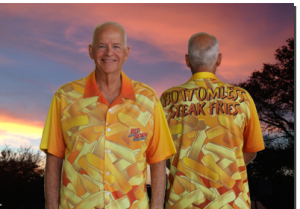 The second Red Robin Restaurants Quarterly Special, “Bottomless Steak Fries,” featured their seasoned steak fries as an overall pattern on both the front and on the back. Very fun and a great reminder. Where’s the ketchup??? 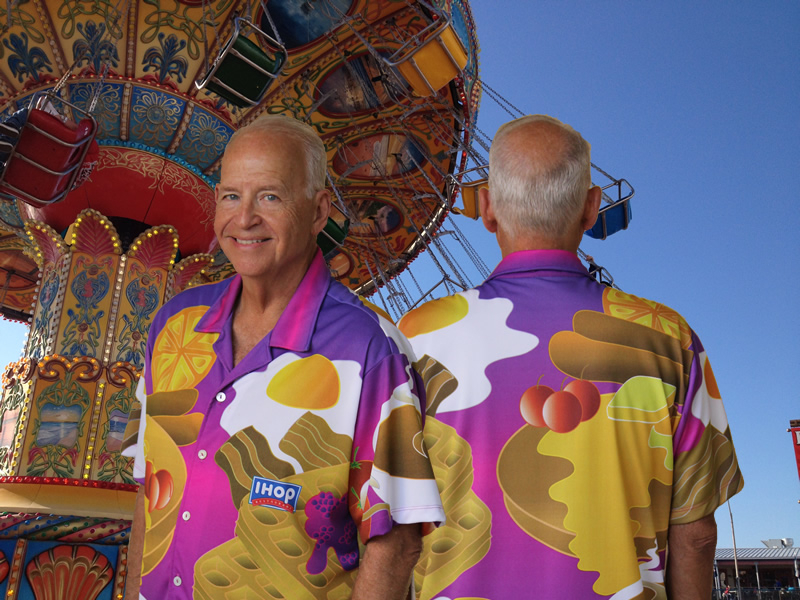 International House of Pancakes Restaurants (IHOP) engaged us to create a beautiful server shirt that could double as guest shirts. They wanted a design that was eye-catching and could be sold to guests who would wear them out and about and would remind anyone about breakfast at IHOP, continuing to brand the restaurants. 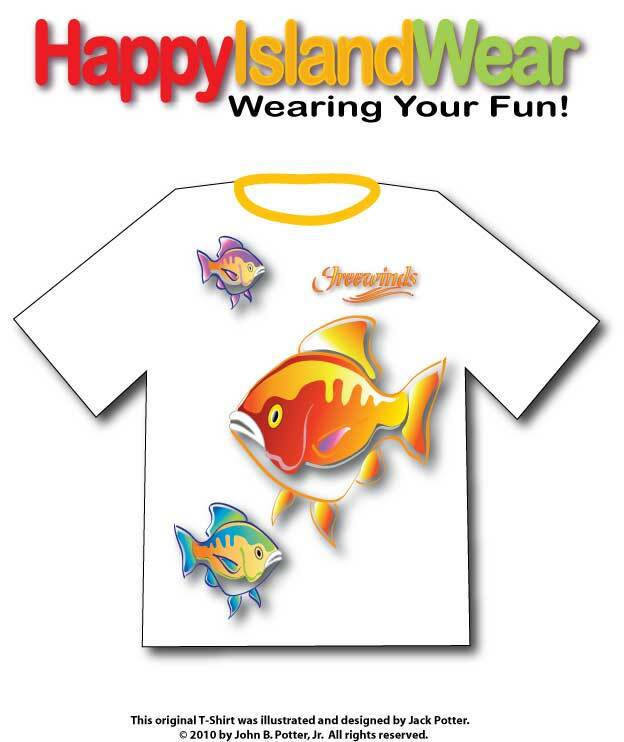 Happy Island Wear was developed as a new marketing way to create more interest and sales. 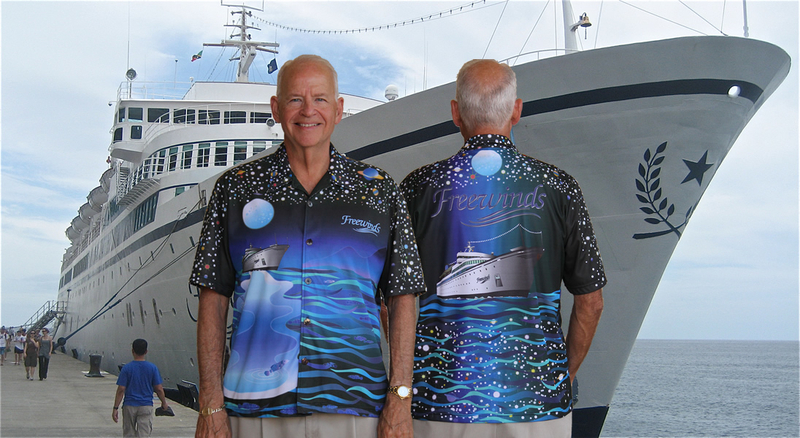 We were engaged by Majestic Cruise Lines to create a stunning guest shirt and a series of T-Shirts for its cruise ship gift store on the Freewinds. Below are some examples of those bright and cheerful designs. 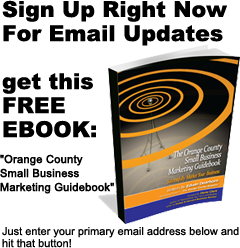 Keep in mind that we can custom create anything needed to attract and interest your customers in your message and your products. This approach works especially well in quarterly “Specials,” in your employee “Uniforms” or as “Guest” items for sale in your store. Designed well, servers and guests will wear your promotional message wherever they travel! Call us today about “Wearable Art” and become more memorable!